Has this ever happened to you? You offer a free initial coaching session and things are going great, you know that you can help this person and there is no reason for them not to sign up. Then you ask if they would like to become a regular business coaching client and they come back with, “I’ll have to think about it, call me next week.” That sounds promising enough but when you call next week they won’t take your call or if they do, they probably haven’t actually thought about it. Sound familiar? 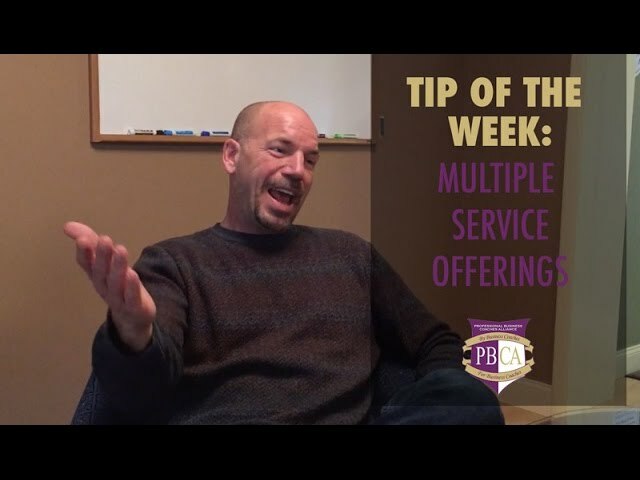 In this Business Coach Tip of the Week, Jon Denney, president of the PBCA, walks you through and even role plays how you can get past “I’ll think about it” and turn that prospective client into a paying coaching client. Overcome rejection and turn “I’ll think about it” into a solid yes. If you can’t get a yes, go for the no. See what we mean in the video below… Give it a try and let us know how it works for you! If you are already a business coach and looking to gain additional business coaching skills and join an alliance of North America’s premier business coaches you may qualify for our Legacy Business Coach Orientation Course.